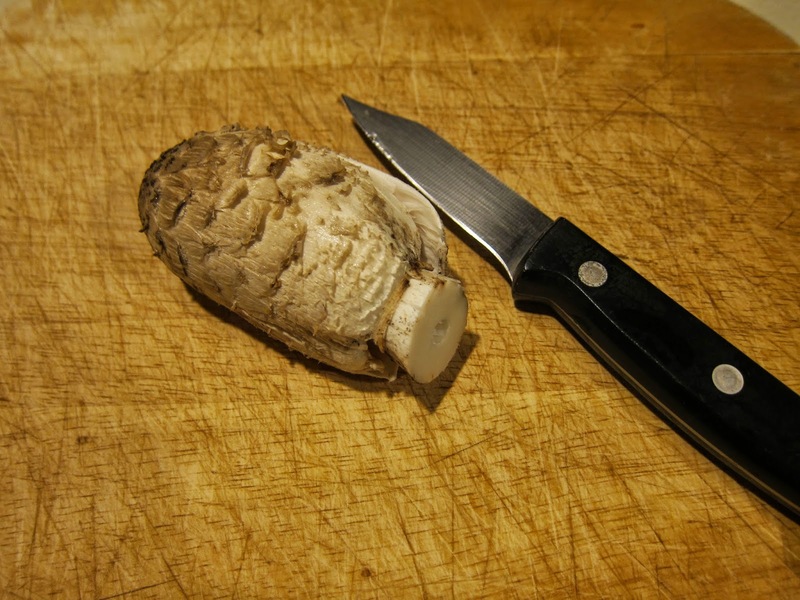 Yesterday while I was at the stables I found 2 good sized Shaggy Mane mushrooms that seemed early enough in their lifespan that I could pick them and use them today. One of them turned inky overnight but the other was just fine. I made an omelet with that one mushroom, some onion, and a little too much cheese. Yum! Also last night I made a batch of yogurt with a new container of starter. It came out perfect. The last batch I'd made was too liquidy so it was used up in smoothies, which the 9 year old really enjoyed. I'm not sure why when I save some of my yogurt and start a new batch with it I have more trouble than when I use a new container every time. I wish I could figure it out - maybe I wait too long between batches? 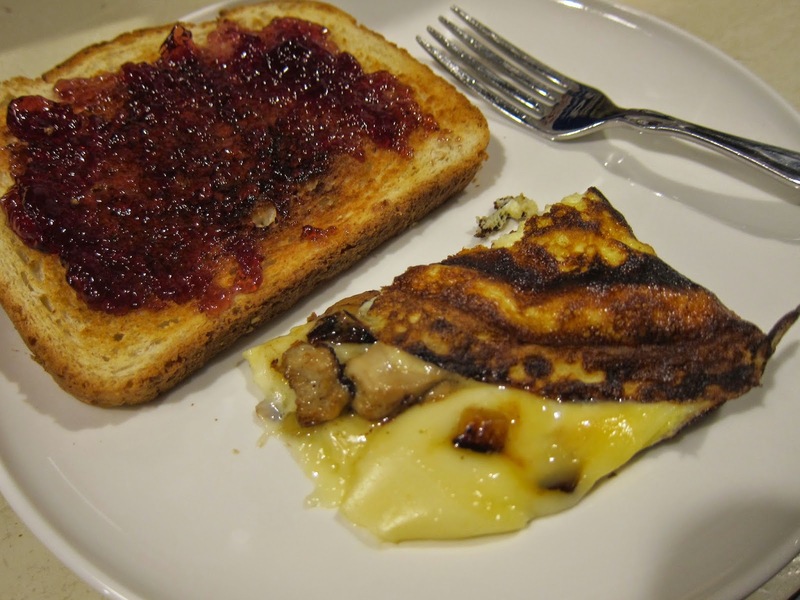 Omelet, also with foraged plum jelly on the toast. At the stables yesterday I noted that all the autumn olives, which I'd been gathering for a while, had vanished. I guess there was a point at which they were exactly right and the birds came and ate them. All of them. So I took what I had already frozen, which was a quart, and cooked them with the other foraged berries I'd been saving, and made juice this morning: grapes, elderberries, a few blackberries and a few crabapples. The juice will sit overnight and tomorrow I'll add sugar and can it.